This extraordinary 11-day “Grand Tour” of Europe features an incredible combination of river, rail, lake and mountain travel including five nights aboard the deluxe Amadeus Silver II. Journey through the western heart of the Continent through Switzerland, France, Germany and the Netherlands, cruising the most scenic sections of the fabled Rhine River. Specially arranged guided excursions feature four great UNESCO World Heritage sites—walk through Berne’s Old Town, tour the lovely Alsatian city of Strasbourg, cruise through the heart of the Rhine River Valley and see Cologne’s magnificent Gothic cathedral. Also visit Germany’s medieval Rüdesheim and 13th-century Heidelberg Castle. 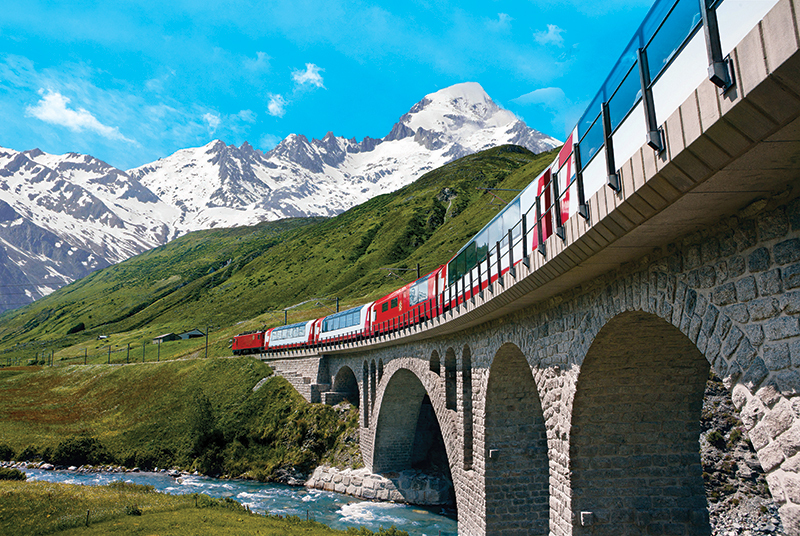 Spend two nights each in Zermatt and Lucerne, Switzerland; ride aboard three legendary railways—the Gornergrat Bahn for breathtaking views of the Matterhorn, the Glacier Express from Zermatt to Andermatt and the Pilatus Railway, the world’s steepest cogwheel railway; and enjoy a scenic cruise on Lake Lucerne. This is the trip of a lifetime at an exceptional value! Complement your journey with the two-night Amsterdam Post-Program Option.